What is VyprVPN for Windows? VyprVPN for Windows automatically configures and simplifies managing your VyprVPN connections. Access VyprVPN from the Windows notification area and switch freely between VyprVPN server locations worldwide with a single click. 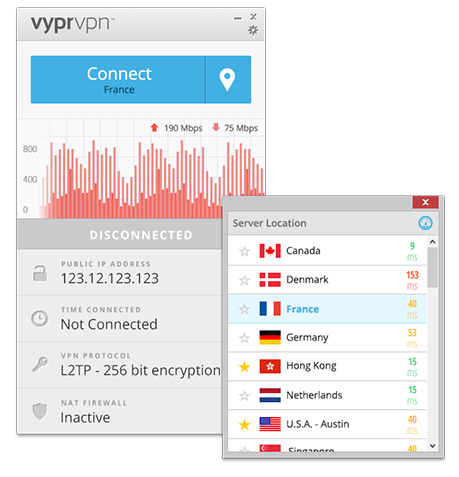 Easily encrypt your Internet connection and secure all your personal data with VyprVPN. Connect and disconnect your VPN connection with a single click. All VyprVPN server locations are populated in VyprVPN for Windows. 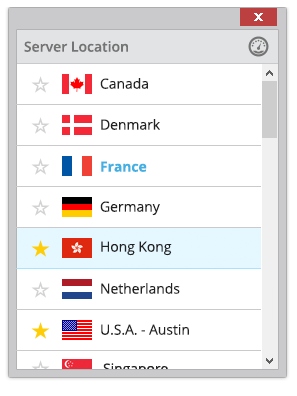 Switch between 70+ server locations worldwide with a single click and favorite specific servers for easy access. 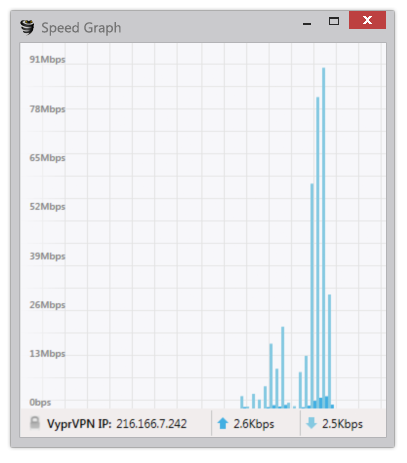 Use the VyprVPN speed graph to monitor your connection speed. View your upload and download speeds with VyprVPN enabled or disabled. Ping test the VyprVPN servers to find the fastest server. 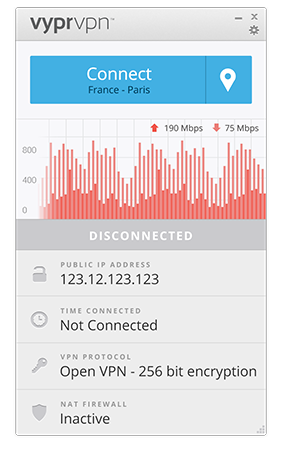 Simply run the test, and choose the fastest VPN server with the lowest ping time. 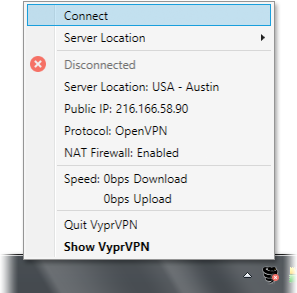 Connect and switch VyprVPN server locations, view your IP address and monitor connection speed from the Notification Area.